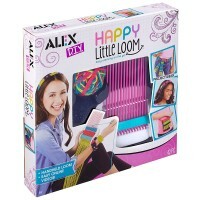 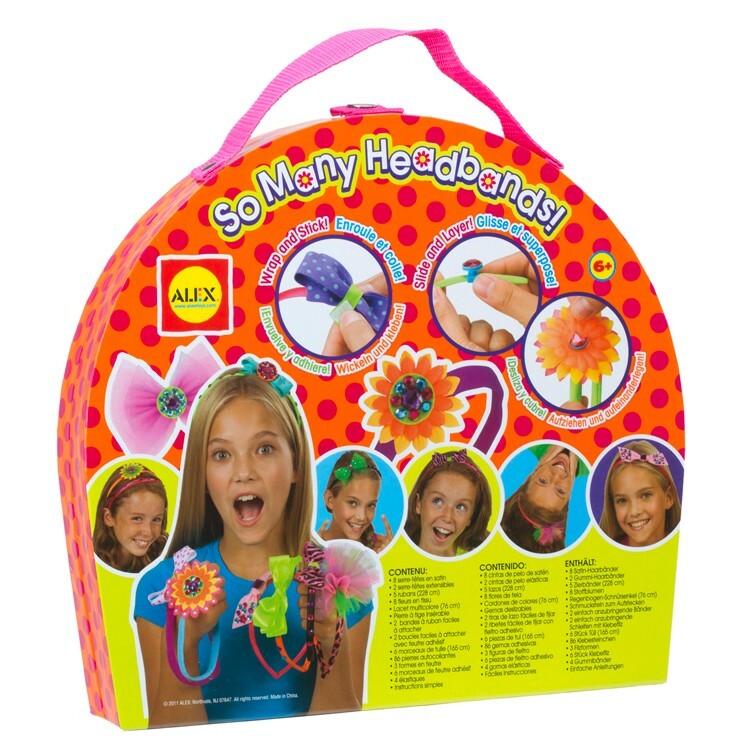 Design and make 10 fabulous headbands in all the styles you can imagine with this Alex Toys' Deluxe Headbands Making Girls Craft Kit! 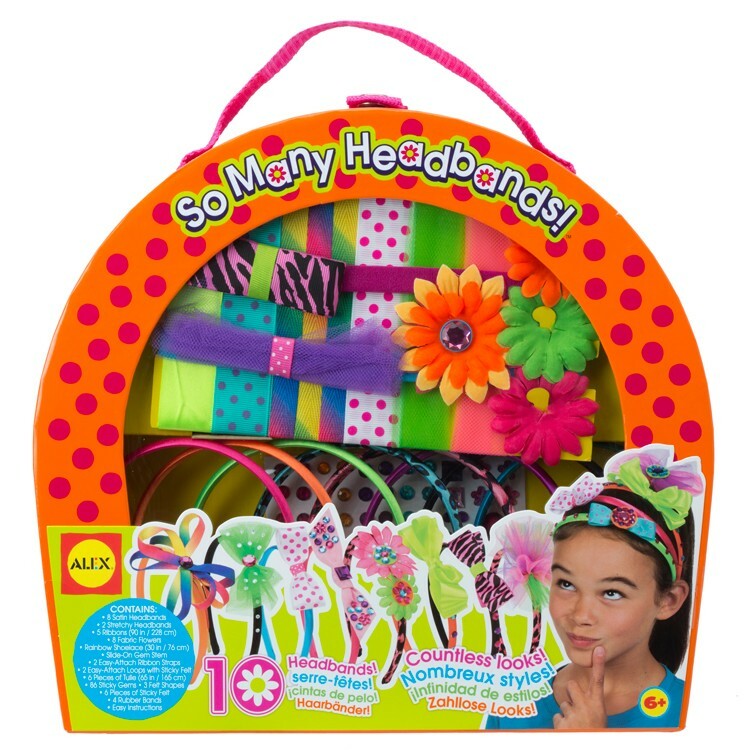 Design and make 10 fabulous headbands in all the styles you can imagine with this Alex Toys' Deluxe Headbands Making Girls Craft Kit! 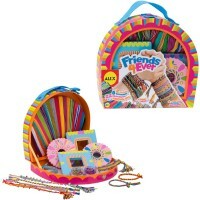 With the enclosed craft supplies create bowls, bejeweled decorations, multilayered flowers, and fashionable pom-poms. 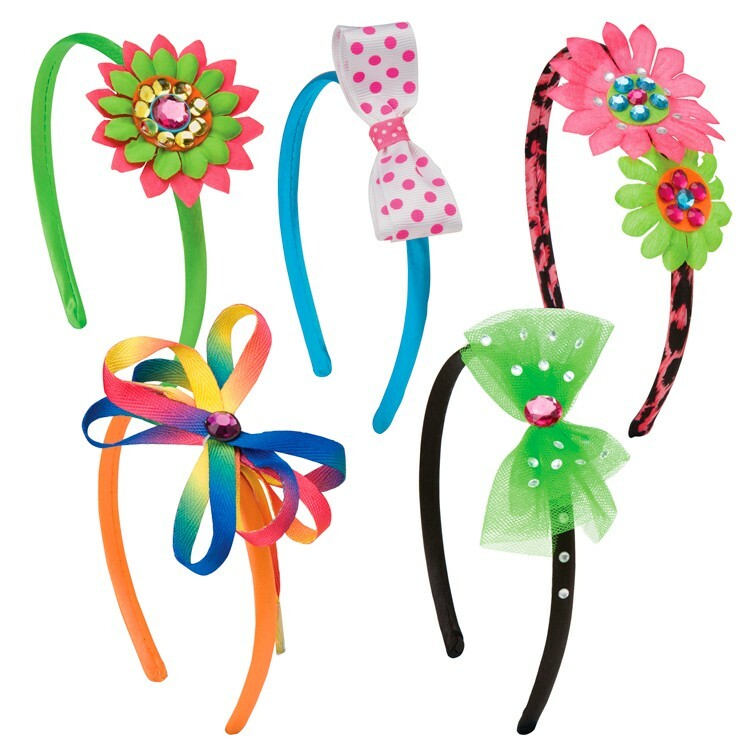 Add the slide-on gem stem, ribbons that are easy to attach, to make your own style headbands. 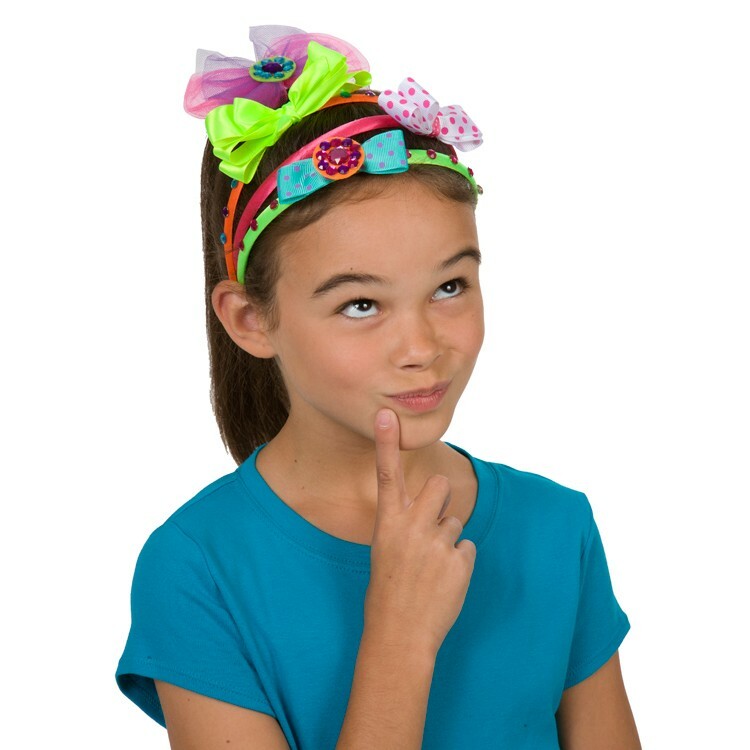 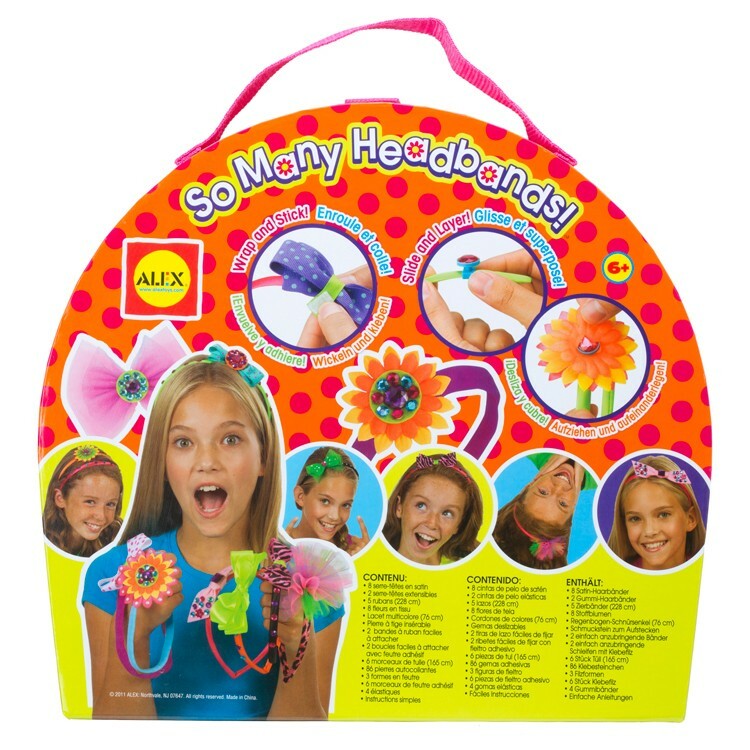 The Deluxe Headbands Making Girls Craft Kit contains 8 satin headbands, 2 stretchy headbands, slide-on gem stem, 2 easy-attach ribbons, 8 fabric flowers, 5 ribbons, 86 gems, rainbow shoelace, 6 tulle fabric pieces, felt shapes, rubber bands and easy to understand and follow instructions. 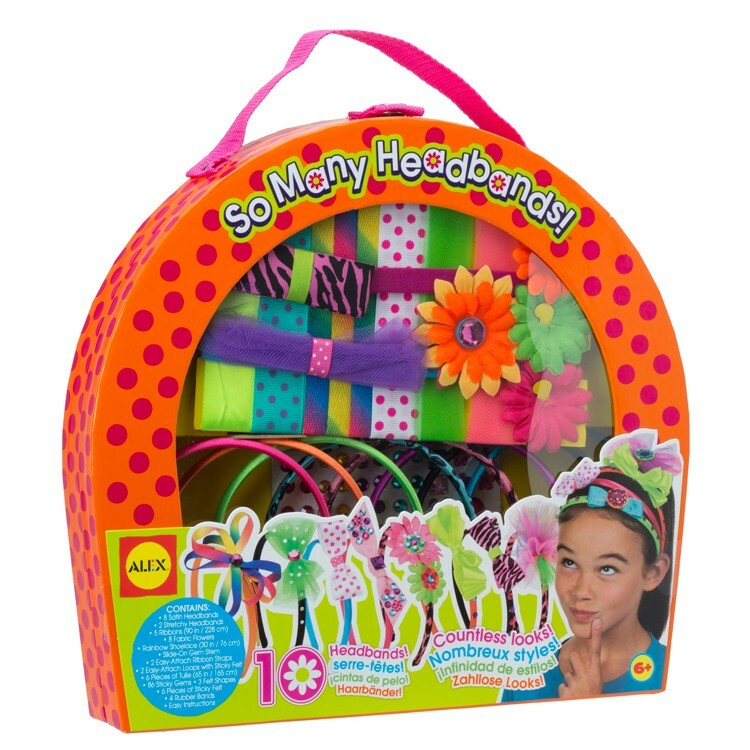 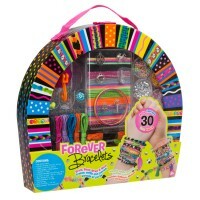 This headband decorating craft from Educational Toys Planet comes packed in a colorful keepsake case with carrying handle. 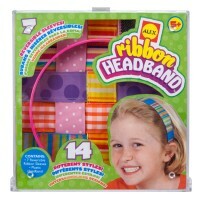 Create your 10 terrific looking one-of-a-kind headbands and proudly wear them anywhere you like! 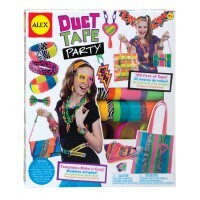 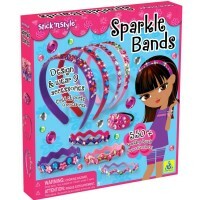 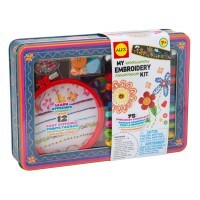 Dimensions of package 11.75" x 12.75" x 2"
Write your own review of Deluxe Headbands Making Girls Craft Kit.